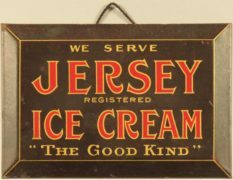 Circa 1940s Porcelain Sidewalk Sign from the Pevely Dairy, St. Louis, MO. 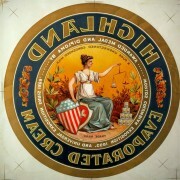 Ca 1940s Porcelain Sidewalk Street Sign from the Pevely Dairy, St. Louis, MO. 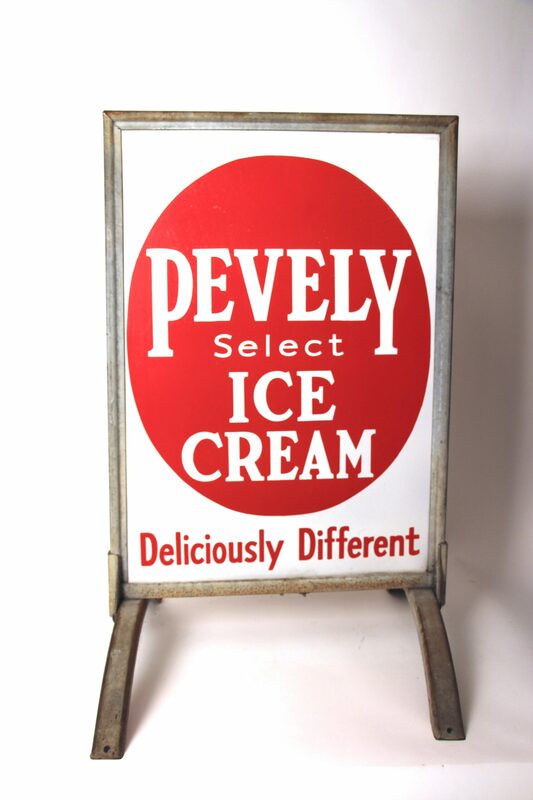 This double sided porcelain sign was designed to sit in the metal stand and advertise to patrons coming from either direction that the business sold Pevely Ice Cream products inside. 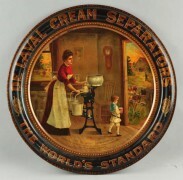 The Pevely Dairy was based in Saint Louis for many years and sold throughout the midwest marketplace. 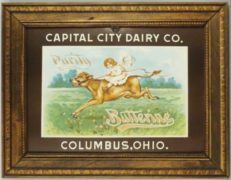 The Pevely dairy put out a multitude of advertising items over the years including signs, bottles, wooden crates, and even sponsored a childrens show for many years complete with puppets and other child related props. 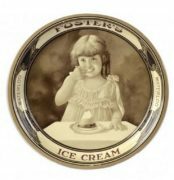 The dairy has recently seen part of the original manufacturing complex torn down as the nearby Saint Louis University hospital complex expands to the north side into the former Pevely property.